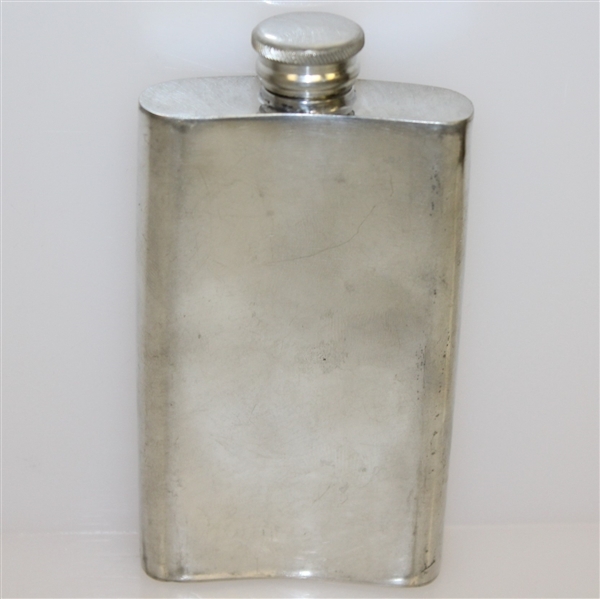 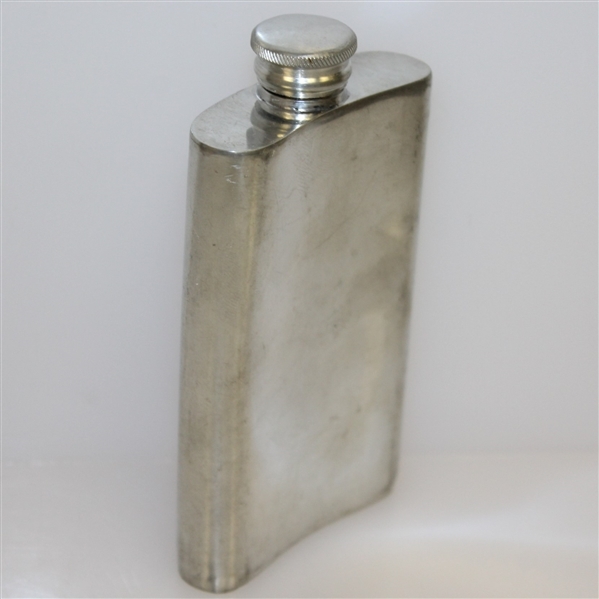 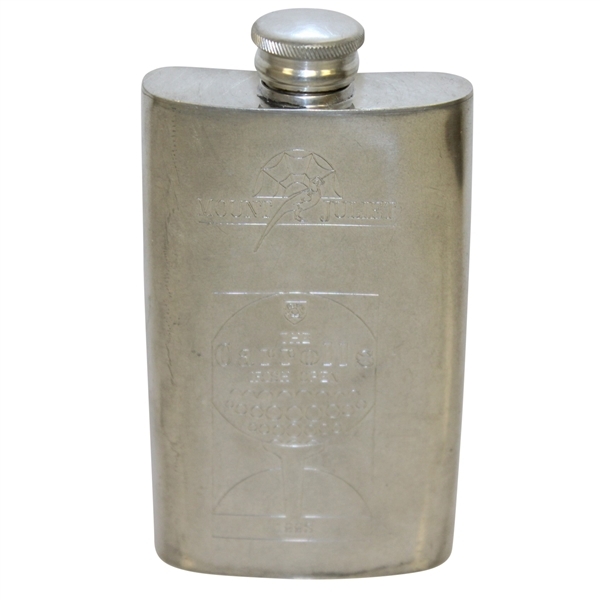 This lot features a Mount Juliet pewter flask. Mount Juliet is a Jack Nicklaus signature golf course located in Kilkenny, Ireland. 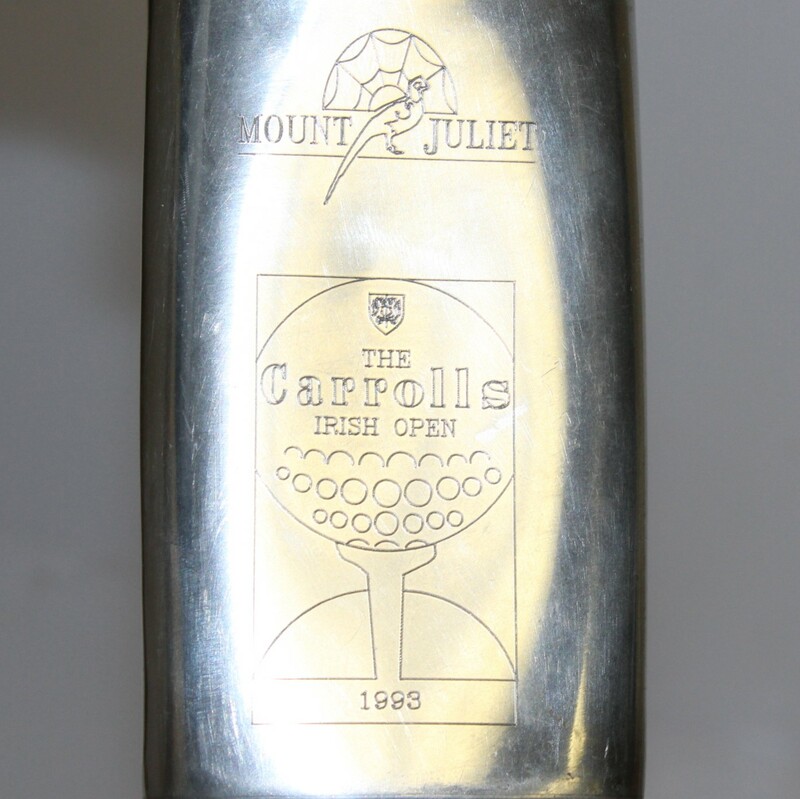 This flask contains a "The Carrolls Irish Open 1993" on the front. 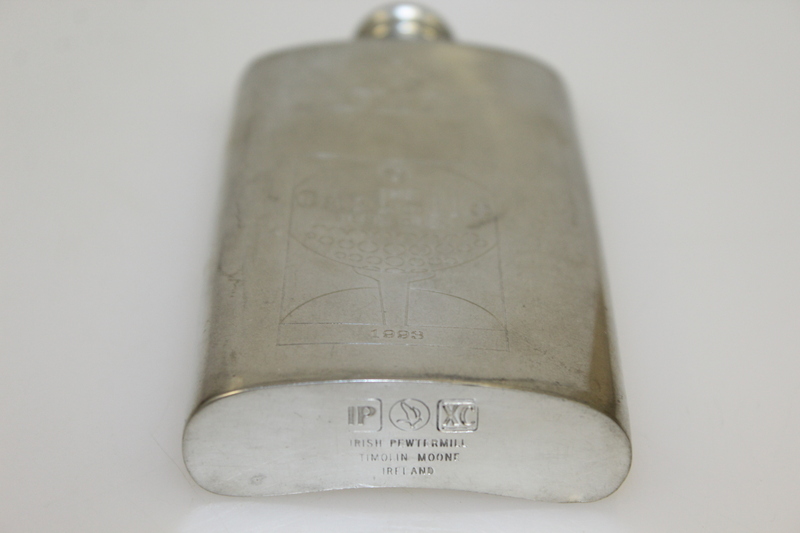 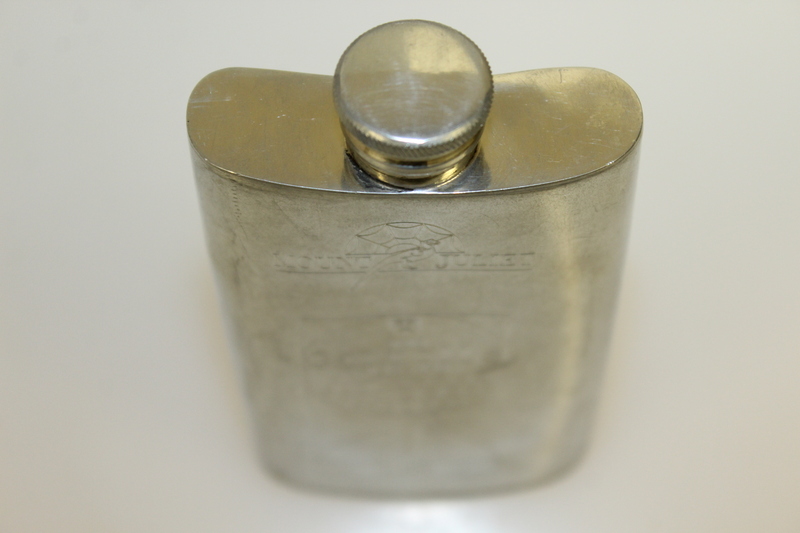 The flask has some slight curvature on the front side of the flask.